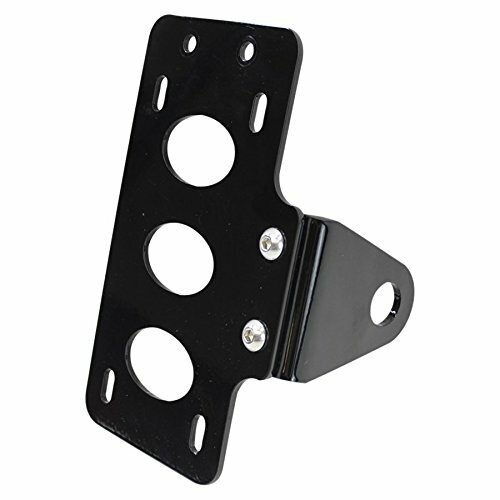 TC Bros. Side Mount License Plate Bracket (with no light). 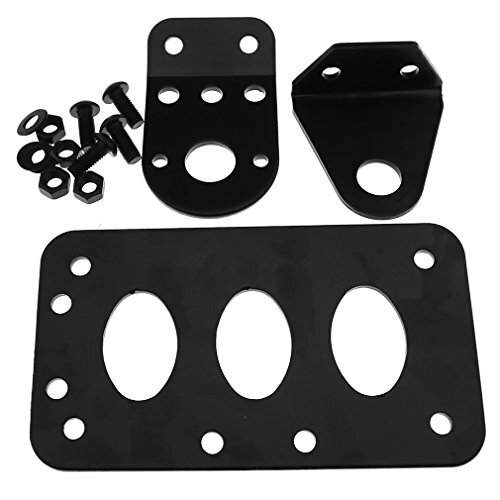 Our unique modular design allows the license plate to be mounted horizontally or vertically on either the left or right side of the bike by bolting it together using the pre cut mounting holes in the bracket. The axle mount hole is .787" diameter so this can be used on Harleys with 3/4" axles and Metric bikes with 20mm axles. This is the most versatile bracket on the market! Your mounting options and licence plate positions can be mixed and matched to give you the unique look that you are going for. The bracket is powdercoated gloss black and comes with stainless steel button head bolts/nuts. Use our LED License Plate Lights/Bolts (TC Bros. #107-0037) to keep your bike legal. 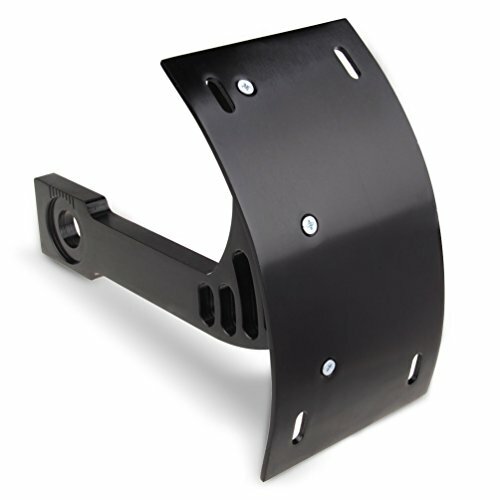 This plate holder is designed for holding a license plate only (not for use with a tail light). 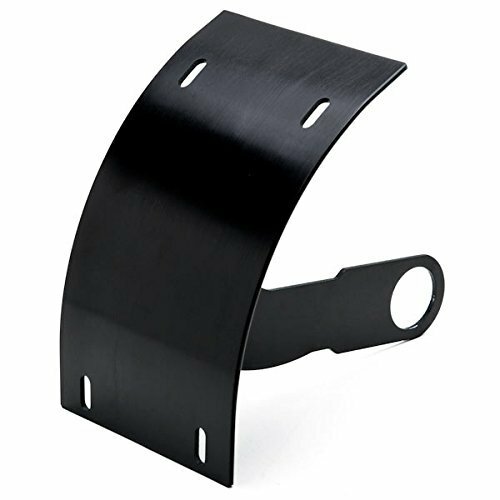 For side mounted plate holders with tail lights, please see our other products. Made in USA. 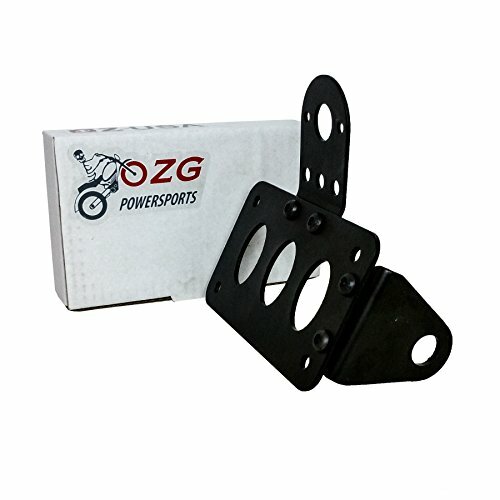 Fitment: Fits most custom applications, Harleys, Metric bikes and choppers Heavy duty steel, axle mount Plate holder for your motorcycle. Color:Same as picture show Can be mounted horizontal or vertical; left or right. 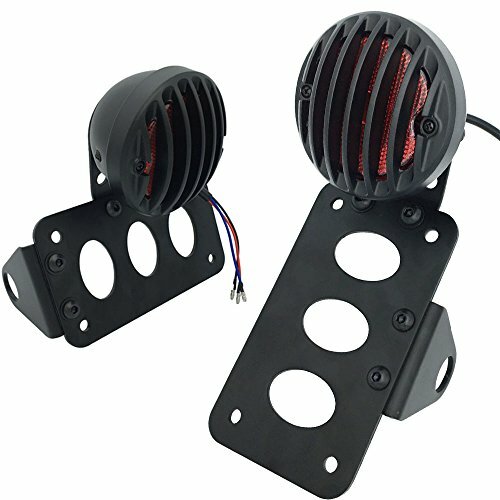 Can be used with or without the included tail light bracket (lights not included). Measurements:Plate holder: 7"x 4" (18x10cm). Tail light bracket: 2,5"x 3" (6x8cm). Axle mounting hole: 0.75" (2cm).